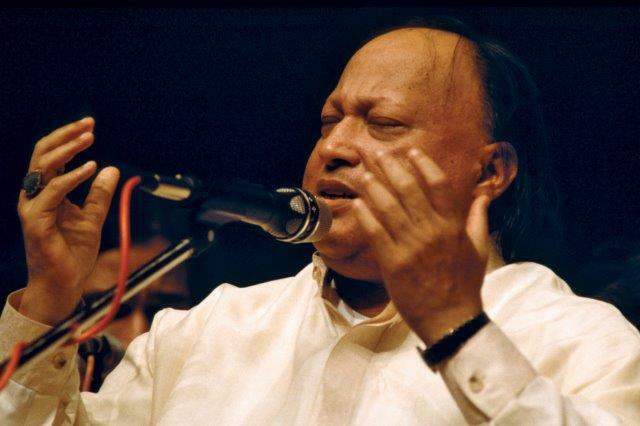 Today it is exactly twenty years ago that Ustad Nusrat Fateh Ali Khan passed away. His death was a tremendous loss. He had a unique spiritual quality that set him apart from all other qawwals. Nusrat Sahib’s voice was one of the greatest voices of the latter half of the 20th century. All over the world he touched, influenced and changed the lives of millions of people, including my own. In a way he is still with us, in the many brilliant recordings we have of him, and in our memory of him, a memory we cherish in our hearts with profound and lasting gratitude. May Allah grant him best of Jannat. Pls say Ameen. – Thank you to Brother Wazir Dayers for this contribution. Allama Iqbal’s Poem at Mazar of Hakim Sinai R.A.